Learn how to draw kawaii (cute!) 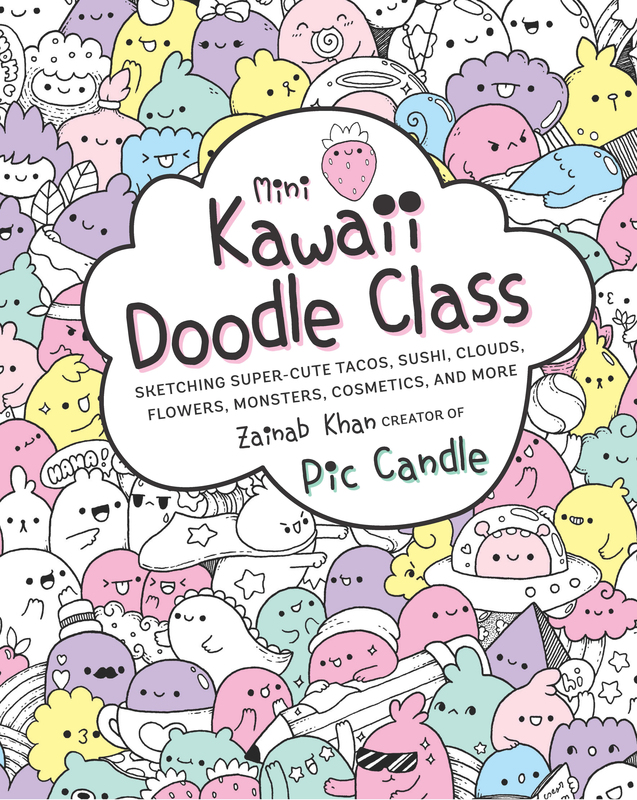 characters with this Kawaii Doodle Class in a miniature, portable format. It's full of charming food and drink items, elements from nature, doodle monsters, and more! Kawaii is a Japanese word that translates to 'cute', and popular YouTube artist Pic Candle shows you how to doodle your way to adorable in this miniature, portable, and even cuter version of her best-selling Kawaii Doodle Class.